I saw a report recently that claims that Americans no longer are taking vacations. The very thought of me taking a full week, let alone two weeks away from work is enough to give me night terrors. What we do experience as a family is a lot of mini trips and vacations. One of those happened this past weekend as we packed up the car and headed for the mountains and Estes Park, Colorado. 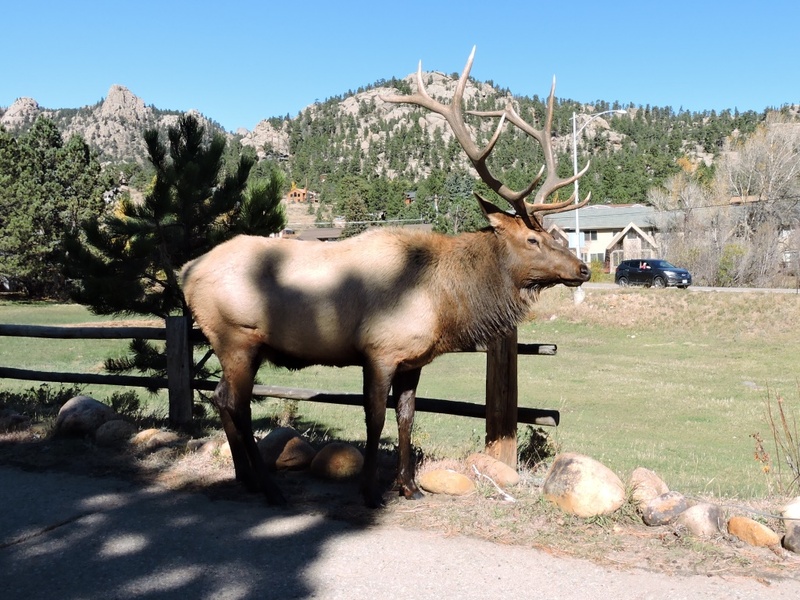 Estes Park is the gateway to Rocky Mountain National Park, and can be a living hell to navigate during tourist season. RMNP is the busiest national park we have and there are something like two roads through Estes leading there. That, combined with pedestrian and wildlife traffic make Estes a horrible place to try and drive through. Think Lake George, NY in about a third of the space and with three times the visitors. Why then do I keep going back? Well, the 20 minutes it takes to go one mile is so worth it when you have nothing but mountains and wilderness laid out in front of you. After a quick one night trip to RMNP this past summer, we could not wait to get back to Estes and the mountains. We decided to rent a cabin this time and found a really reasonable deal with the YMCA of the Rockies. The YMCA has several lodges with traditional hotel rooms, and nearly 100 cabins spread out across its 800 acres of last adjacent to the park. We rented a three bedroom cabin for three nights for a little over $500. The fall is a great time to do this as the offer a buy two nights, get the third free option. The cabin was rustic, with knotty pine interior walls, a large front porch and windows that offered a sweeping view of the Rockies. 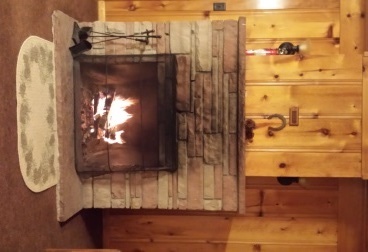 The highlight was the large stone fireplace which provided a warm, crackling fire that set the ambiance dial to maximum. Late at night it was very quiet and the goose bump inducing bugle of the bull elk could be heard echoing off of the mountains. t was really a perfect place to get away from it all. We crammed a lot into our 48 hours or so in Estes Park this time. We shopped, watched the elk, ate, we cooked a nice chili dinner for friends of ours who were able to join us for an afternoon, we hiked in the park, I got a run in at 8500 feet in elevation and we took a lot of photographs. 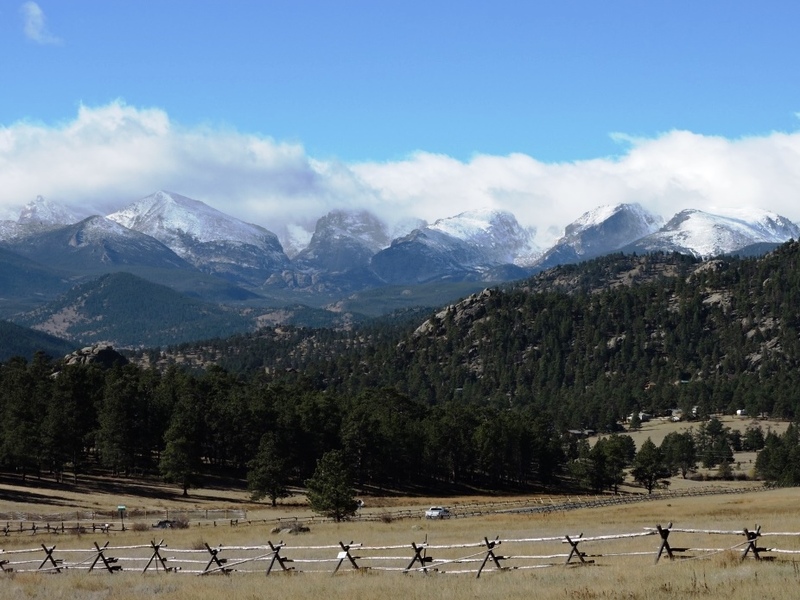 You just cannot beat the views that you get when in the Estes Park area. It is a 360 degree panorama of the best of God’s work on this earth. I don’t know how many times I looked and said sarcastically, “What a horrific view.” It is just an awe inspiring place to be, and we need to be thankful everyday that it is preserved as a national park for all to enjoy. We saw so much wildlife on this trip. It started with a bull elk and his harem of cows on the front lawn of the YMCA when we arrived, continued with seven mule deer in our back yard at the cabin and finished with experiencing a flock of Big Horn Sheep coming down the Big Thompson Canyon on our way home. Watching a Big Horn scale the sheer cliff in the canyon was just magical and amazing. We probably saw 150 elk, 15 mule deer and 20 Big Horn Sheep while on this trip. It is a special way to introduce your six year old to nature for sure. The horse back ride we took at Ranahan Ranch was again a highlight of our trip.This was the second time we have rode with them and it did not disappoint at all. The horses were strong, healthy and gentle. The wranglers were friendly, informative and awesome with kids, including our daughter’s friend who had never been on a trail ride before. If you are looking for a quality horseback riding experience I would high recommend these guys. The first day we were there was the Pumpkins and Pilsners festival. This was a nice little festival that featured live music, beer from Estes Park Brewing and games for the kids. While nothing fancy, it gave us a chance to drink a couple of beers in the warm October sunshine while our daughter played in the bounce houses. 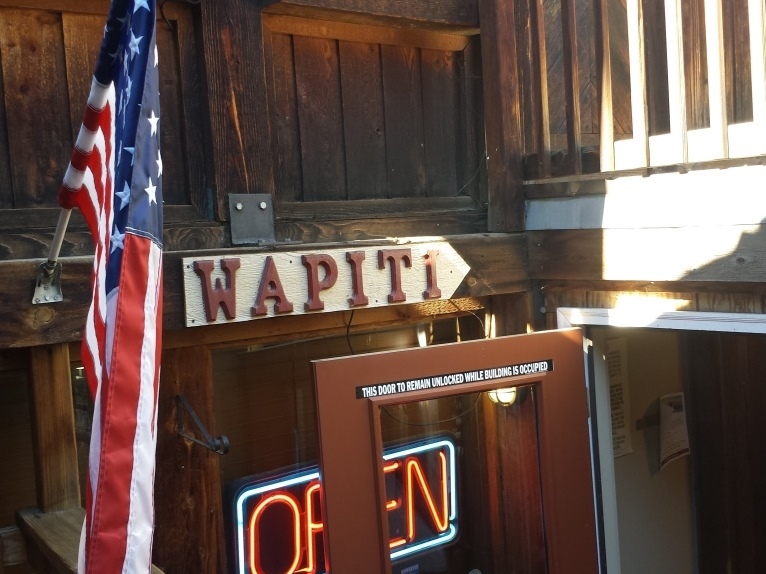 The Wapiti Pub was the best place we ate the whole time we were there. We enjoyed a trio of wild game sliders featuring bison, elk and wild boar. It was fun to compare and contrast the various flavors of the different fame animals, side by side. I’m normally a condiment person, but I skipped them to experience the subtle flavor profiles. They have over 100 beers on the list and several of them are available on tap. I found the flavor of the 6 Shooter fresh hopped pale ale to be wonderful, and the Glider Dry cider was a hit with the wife. The overall shopping experience in Estes was pretty good. They were having a sidewalk sale, and it being the end of the season, some deals were there to be found. I do need to ask however, how many ice cream shops and t-shirt shops does one tourist town need. Apparently that answer lies in the double digits for both. Food in general in Estes Park is a bit expensive, and much to my surprise we have yet to have a fantastic meal. I’m not complaining about the price, you expect that, I am complaining about the lack of imagination and quality. It seems as if every meal is courtesy of Sysco. We ate dinner at Grubsteak the first night and it was awful. The service was poor, they brought me the wrong beer, forgot our appetizer and the rainbow trout, which the menu touted as their most popular dish, was flavorless. When the grilled cheese kids meal is the highlight you know something is wrong. We are usually pretty good at picking out places to eat, but we have struggled in Estes Park. We were very disappointed in the food at the Estes Park Brewery, thankfully they put more care in their beers, then they do dunking fried food in the fryers. The breakfast spots we ate at were ok. The Notchtop had slow service and the food was overpriced for breakfast. You Need Pie was a better value and had better flavors, but still it didn’t inspire me to name it our go to breakfast spot.We were so uninspired by our dining experiences in Estes Park, that we headed for Fort Collins for dinner on the way out of town. Estes Park, being only 2 hours from Cheyenne, is going to easily become out go-to get out of town location. We love it there, we feel at home in the mountains, and we look forward to continuing to explore it and finding where the locals go to get out of the crush of tourists who descend on the town. The winter-time is a great time to visit and take advantage of deals on hotel rooms. There may be fewer shops and restaurants open, but it will be a more laid back chance to check it out.